If New York is the City of Egos (press Cancel), and Paris epitomizes ‘A thing of beauty is a joy forever’, and Seattle the rainy (sulk), sleepy city of the Space Needle (press Cancel), London is a city hoarded with history — Centuries of history, of culture, of life and death captured in its museums, in its buildings, in the names of the streets. And London is a city of diversity — of the British, of Europeans, of Asians, of Southall, of the millions who visit daily and become a part of the milieu, of the Londoner. London is the seat of colonial power — of treasures from Egypt, from Japan, from India submitted to humour the English crown which once ruled on a territory where the Sun never set. 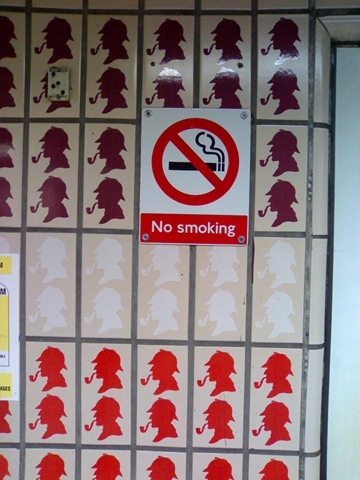 Before reaching there, I was quite apprehensive — I was there for all of 8 days, and I had kept 4 days to roam around London, to see everything everybody talked about. How would I get around? What would it be like? Would I feel bored? Alone? Scared? It turned out to be a great journey –getting bored is almost impossible. I think I will go in a chronological order in describing what I saw in London, what I heard, what I felt about. First of all, there was the looooong wait at the immigration counter at Heathrow (almost 3 hours!) and I was completely drained by the time I got to my hotel. 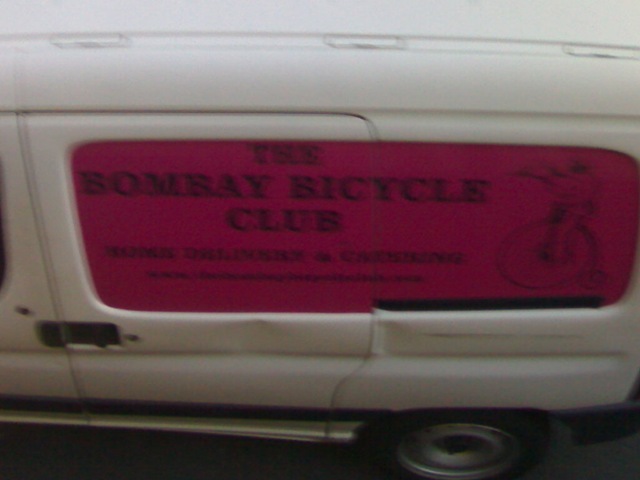 I was staying at a posh hotel in Gloucester Road in South Kensington for the first 4 days (during the conference). I just got there, went down to have an English dinner and crashed. For the next 3 days it was pretty much the conference. I should mention that the Oyster Card is a real treasure — it gives you unlimited travel in the tube for a week and a must have! The two events I would write about is the meeting of the BCS Women at the conference where we heard about work being done to combine technology and the arts (music, dance and so on — with an emphasis on the handicapped). There was champagne by Google Zurich (they’re hiring!) to wet our lips ;-) Another event was the conference dinner where they took us all to a traditional English place — with wooden interiors with a low ceiling and excellent food. By the time I had started exploring, I had moved to the Indian YMCA, one of the best places to stay in central London if you are not looking to spend too much (London is bloody expensive!). 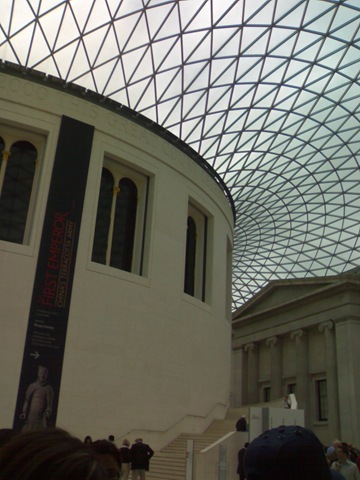 Once the conference got over, I first visited the British Museum. My first thought was — wow, they have carted off all this stuff from wherever they ruled. 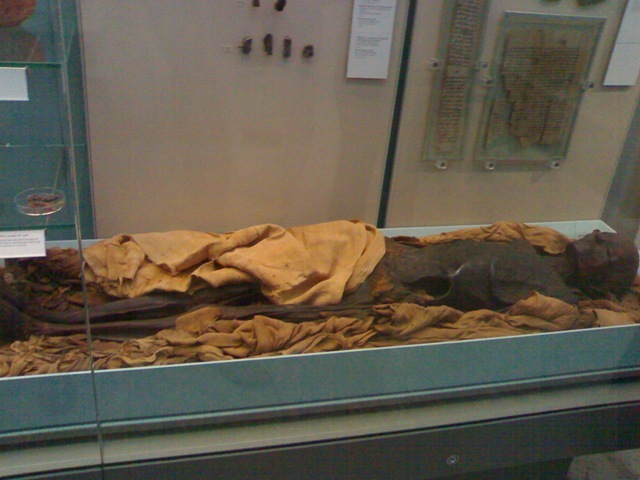 There are real Mummies (with a skeletal hand to scare away your sleep! ), but the section I liked was the Japanese section since I haven’t seen their art all that much. An amazing amount things on display in the South Asian section as well — including a miniature temple, and sea-shell shaped weights! The next day, it was the Tower of London, that famed place where they tortured detractors, traitors and whomever the king didn’t get along with (including his wives!). The tower itself has a rather bloody history, with numerous executions, a gate called the “Traitors Gate” (which was earlier called “Water Gate” for no relation with Nixon) and a “Bloody Tower”. Bloody tales of queens being beheaded were told by the guide (called a Beefeter) in a rather humourous fashion — the trip inside is highly recommended. The Tower is also the home of the Crown Jewels, the jewel on whose crown is of course, our very own Koh-i-noor. I couldn’t help notice that the jewels became markedly grand and regal since the conquest of India and I knew where they got all their riches! The amount of wealth under the crown is mind-boggling — there was a wine casket which could hold almost 40 litres or more and made of pure gold! I was just wondering how rubbish is all the talk of JK Rowling being richer than the Queen. 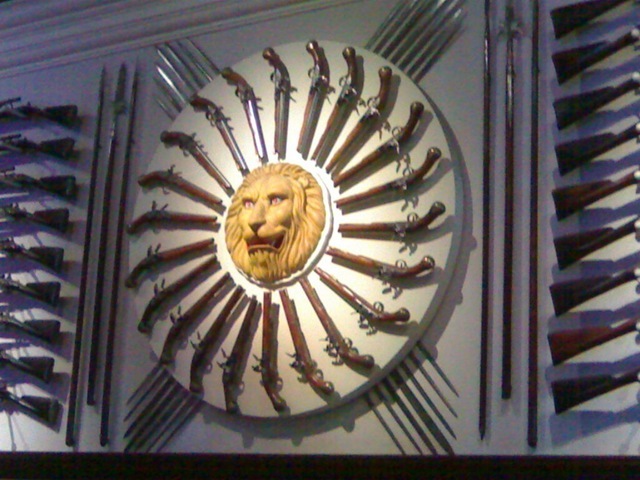 We also saw the armoury — a breathtaking display of arms kept in an organized fashion, and looks very formidable. 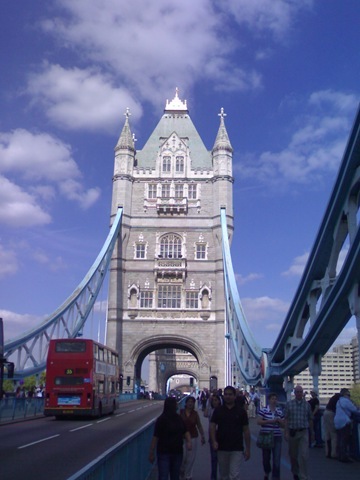 From the Tower we (had gone with a Croat) went on to eat (orignal Italian pizza) at Dicken’s Inn, overlooking the regal Tower Bridge (this is really the grand one — the London Bridge which is so hyped up in the poem is a blink-and-you-miss). We were south of the river Thames, which cuts across the map of London and so decided to explore the south bank itself. There was the London Dungeons not too far away where they give you a ride of the London of old, or killings and torture. The best part was the walk in a room full of mirrors — a brilliant design — the room was completely full of full length mirrors and gave an illusion of a crowd when you were looking really at yourself and it was impossible to find out which way to walk. They kept it purposely dark, and it almost felt like going in search of a Minotaur! Another amazing thing was the walk in the burning tunnel, where they trick you into thinking that the tunnel is rotating in space by an intelligent movement of the bridge and the spiraling ceiling. The rest of the journey — including a full history of Jack the Ripper — was not that scary, but fun! 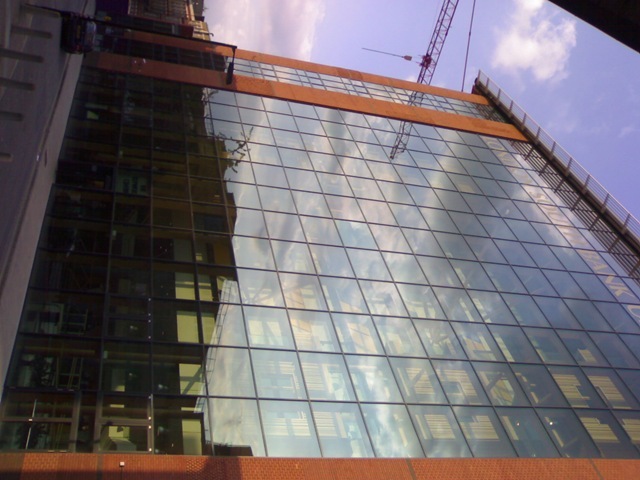 The next in line was a walk along the South Bank to Tate Modern – the daunting British International Museum of modern art. I had heard so much about it, and I just had to visit it! And an experience I can’t forget. The biggest names in art are on display on the walls before your eyes — it’s almost as if you are watching history being created. From Picasso to Ernst, concepts (like the room full of geometric figures) you have probably heard of, to the newest I haven’t heard about — it had everything — the surreal, the obvious, the abstract and the real. What caught me were a few by Ernst, by Picasso, and then sections on modern life — one piece was just a chair and a table signifying how boxy and static our lives have become. There were those I didn’t understand (the urinal?) but there were some which I loved — in particular, a new breed of artists from Congo who draw realistic paintings of today’s life (one which really touched me was of a young boy putting his hands up in surrender and a third hand — a man’s hand — jutting out of his pocket holding a pistol which is about children being coercively drafted and being controlled by others). The galleries were called “Poetry and Dream”, “Idea and Object”, “States of Flux” and so on and you could spend a lifetime appreciating it! This was a trip to the Windsor Castle, Stonehenge and Oxford. I took the Evan Evans tour which is quite good. 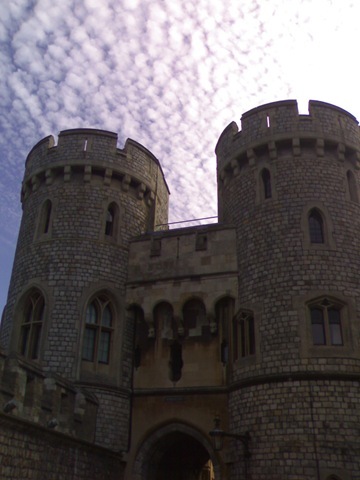 Windsor Castle, first created by the Norman Kings, is the residence of the British monarchs, and is quite a spectacle. It is huge and haunting, the main attraction is the State Apartments — where the monarchy shows off its regalia. Leading into the apartments is the Queen Mary’s Dolls House — which has a bonsai version of everything in real life. Even the cutlery has been made correct to proportions! The state apartments, of course, is royal and regal — you almost gasp when you see the entry. On display was massive rooms, invaluable paintings, busts of the greatest soldiers of Britain (like Nelson, Duke of Wellington and Winston Churchill), a huge dining room, ball-rooms, and general alleys, each of which in effect dazzle your eyes by the immense display of richness. Also on display was the lion from Tipu Sultan’s palace made of pure gold, and captured and later presented to the crown by the East India Company. 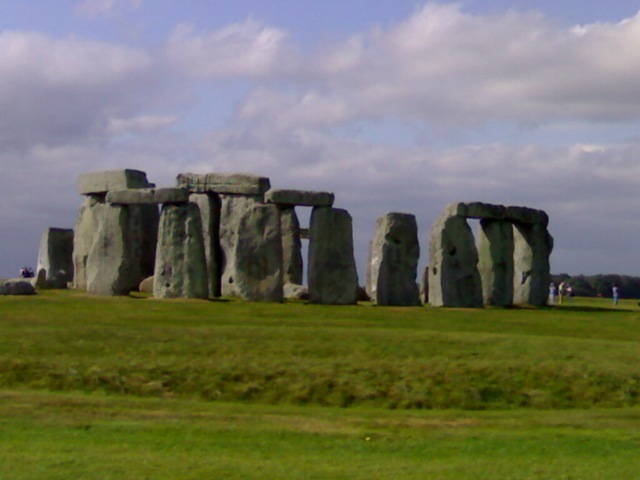 The next up was Stonehenge — one of the earliest man-made structures without a clue as to why they were made. Some believe it was religious, some believe it was a display of power, some believe there is some connection to the Merlin of the Arthur fame, some even believe it was a gift from the aliens — but the truth is it was a massive amount of engineering for their times. They had carried the stone across hundreds of miles, across rivers and then joined them using joints similar to the ball and socket joints. Our ancestors were smart! Went on to Oxford — the city that started off as a place for religious study, but has gone on to become one of the greatest places of learning. A rich history of its own, of great men and tall colleges, I am in no doubt that just the architecture itself inspires people to question, to reason and to think — essentials in any journey of learning. 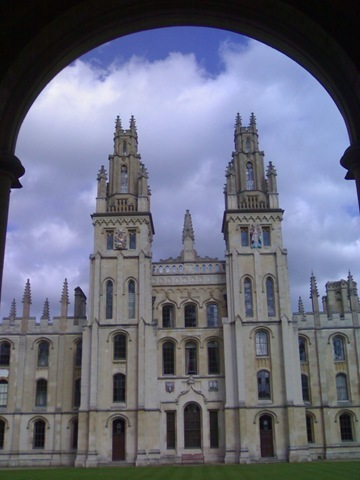 Oxford University itself is constituted of many colleges (some 32 or so) and you study under a college even though you get the degree from the University. It was also the last day of the Mayor’s Thames festival and I went to see the fireworks in the night. Oh, what a spectacular display! The night above the river was ablaze with fireworks competing with each other for sound, light and the dramatic reaction. Funnily enough, the first one was an advertisement for the Barclays One Card and everybody was in splits because somebody remarked that they should advertise for Northern Rock (the bank which was in dire straits and looks like it still is). The day began late with me making it to the Victoria and Albert Museum in the morning. Another amazing collection of art, ancient and modern. 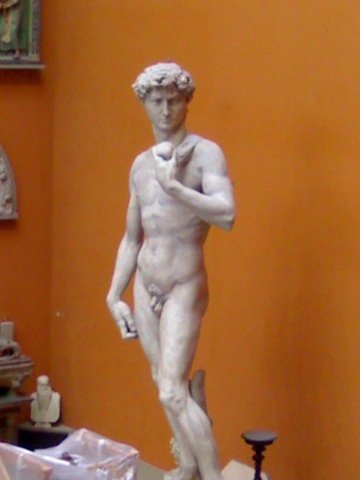 It has a great collection of sculpture (a la the Louvre in Paris, but I would perhaps rate the Louvre higher at least in terms of sculpture) including Michelangelo and Raphel’s Cartoons. A brilliant journey into our history (there is a large Nehru Gallery of Indian art as well). 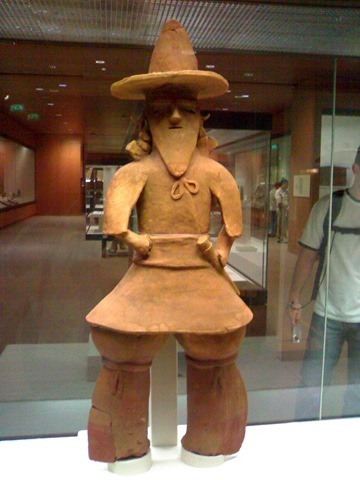 The way I see it is that the British Museum contained things which were found (like the armour of a Japanese emperor and so on) but the V&A Museum contains pieces by well-recognized artists which were commissioned by patrons for the purpose of art. Then came a short journey into the Natural History Museum with its dinosaur gallery and the hugely famous (and rightly so) real dinosaur skeleton. 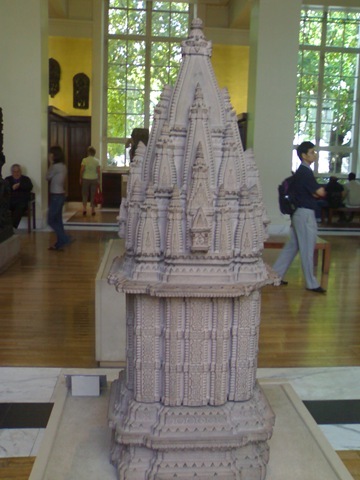 We have similar stuff in India as well (in Science Center in Calcutta, for example) so I didn’t spend too much time. They have real animals preserved by Taxidermists, but thankfully they have stopped killing new animals for preserving them. 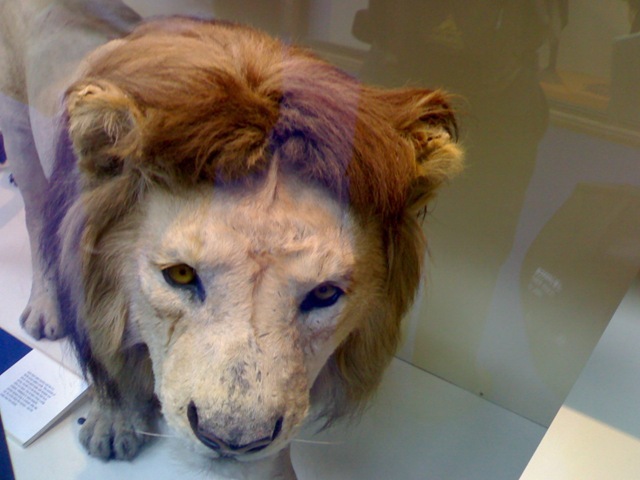 Hopefully, when we are out of real lions and tigers (dreading the times), we will bring children to the NHM. The National Gallery is the greatest collection of paintings I have seen. Dominating Trafalgar Square and the lives of many art lovers the world over, it’s a world you can get lost in. 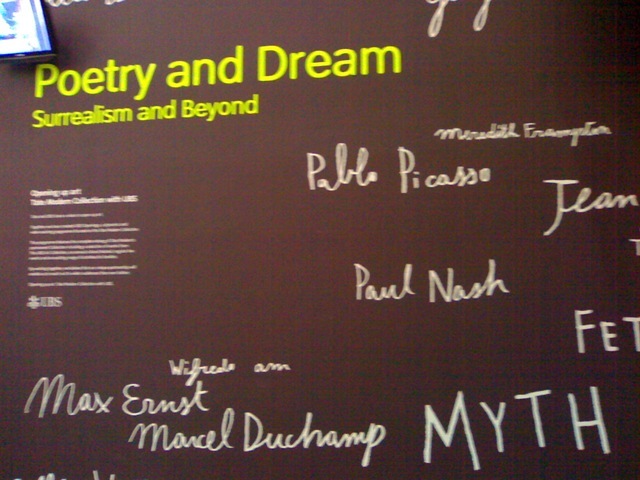 From Da Vinci, to Turner, Manet, Monet, Van Gogh, men of brushes of all history adorn its walls. It’s another place where you almost see art evolving over the ages, from realism to impressionism. I was lost within the four walls, four sides of innumerable frames. You see how paintings became more and more realistic, the play of shadows and of light sources, how they went from the religious to the realistic to the impressionist. 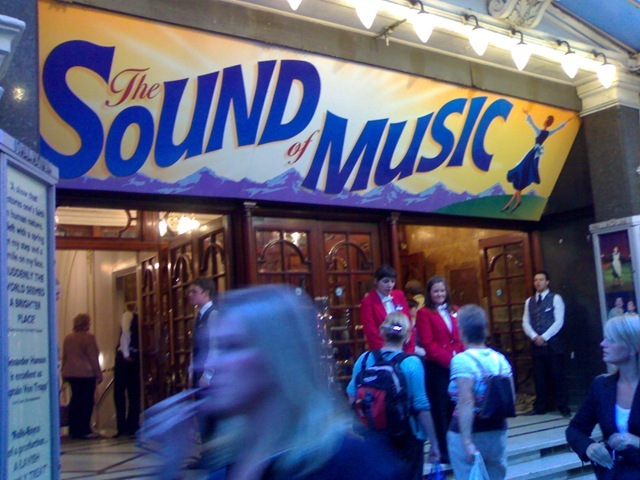 It’s a must see if you went to London! The evening was time for a westend musical — Joseph and the Amazing Technical Dreamcoat by Andrew Lloyd Webber — three full hours of singing and dancing, and I figured out Bollywood’s not so bad (they have some dialogs as well!). An amazing and a spirited performance — I wonder how they don’t feel tired after so much singing and dancing. They also make it so funny — the plastic multi-hued sheep and the Elvis Presley-ish Egyptian King. An authentic Mexican (thanks to a Mexican friend of a friend) dinner and I was finished! I did the regular beat on this day — started with Buckingham Palace, but since the Changing of the Guards happens only at 11.30 AM I went off to Westminister Abbey and Houses of Parliament. 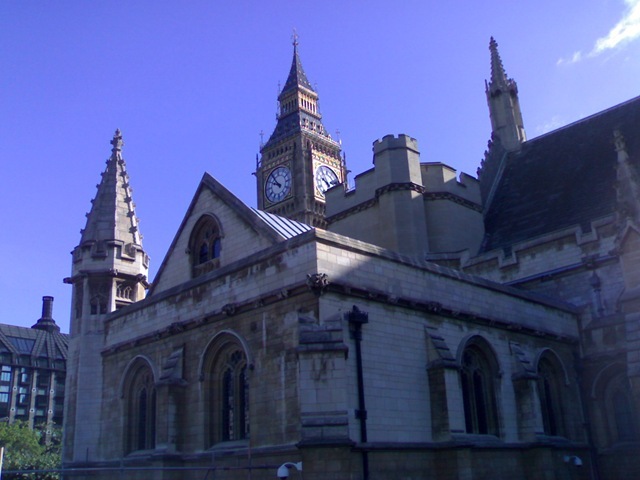 From far you could see the Big Ben, standing tall — one of the greatest insignias of London city. The houses themselves had quite a regal architecture. Walk along the alleys there and I am sure one would feel potent just because of the ambience. 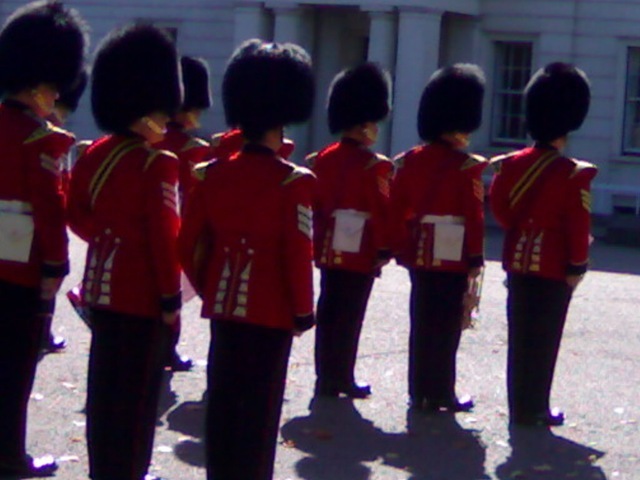 I wasn’t that impressed by the Changing of the Guards itself. I thought it was way overrated — I have heard that the Wagah Border is a far better sight. It was, however, funny to see the musicians in the orchestra actually taking off and eating chewing-gum in between the songs, scratching their tall hats. I wonder if they could do that a hundred years back. The next up was Covent Garden, with its flea market. There was even somebody giving a improvised opera performance right there! I walked a ton that day. Selfridges, near the Oxford Circus, is a grand mall — however, I felt that the malls in India are catching up fast. Even though Selfridges far surpasses them at the moment in terms of the quality and variety and the big brands, my guess is that they will be there very soon. I had the best Mango Lassi of my life also — just the ideal combination of sweet and salt — a must have if you get there! Then started the long walk back – Oxford Street (the pale younger brother of Champs Elysees), the Piccadilly Circus and back to the Trafalgar Square. All in all, it was a trip worth remembering. It was easy to get around thanks to be tube, and since you know the language, there isn’t much of a problem. The only thing you need to keep a tab on is costs. London is one of the great cities of the world — and worthily so, with its huge history, culture, architecture, things of beauty, people scampering around in formals and designer dresses (women actually wear the stuff they do in Fashion Shows in daily life!). An amazing journey — somebody told me ‘A lifetime is not enough for exploring London‘ and that statement is so true! Ha ha. I tricked you ;-) More of the same: theatre in Bangalore. This colorful show promises a lot- Meet King Arthur and his trusted servant Patsy who have ridden the length and breadth of the world by banging coconuts! Catch Inspector Tiger trying to solve a crime straight out of Agatha Christie’s novel; Get surprised by Spanish Musketeers; Get tips on how to get through an interview without going bonkers; Enjoy being served by the finest Chinese Mayonnaise cooks in town; Get emotional for the man who bought an ex-parrot; Propose marriage and get accepted-in less than 10 seconds!! And learn how to defend yourself against pointed sticks! Surreal plots, intelligent yet slapstick-laden humour, gags, idiosyncrasies of British life and a completely whacked out fun evening- a non stop 80 minute entertainer with choreographed set change matching the pace of the humor on stage- Errm..If this is not different then what is!!! Yumm … sounds tasty. And considering the fact that they did such a good job of Five Point Someone — I can very well imagine that the execution will give you great exercise for your tummy muscles. 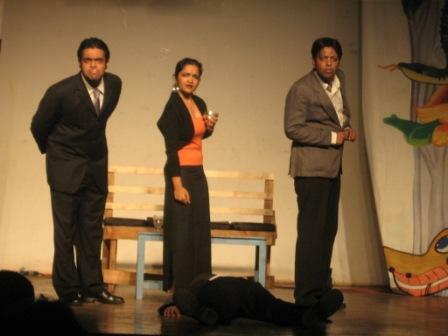 It’s being performed at the Chowdiah Hall in Vyalikaval on Sunday, Sept 23 at 3.30 and 7.30 PM. The damage to your wallet would be 500/250/150 but the lung exercise you get is probably worth it! 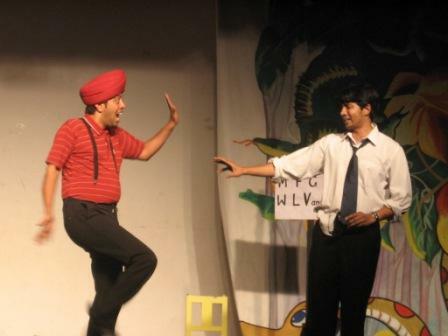 To book, visit evam.in or call 99162 14062/98402 22363. Unfortunately, I would not be able to watch myself since I am traveling at the moment, but I am sure you wouldn’t wanna miss it! More details can be found in this Zip file. A fire is burning. I can sense it, I can smell it, I can feel it. It is not a regular fire, it is the fire of fury of all the fans of the original Embers which Samesh Rippy had smoldered in the heart and soul of the Indian fillum buffs. The embers which LGB had deliriously hoped would convert to an inferno has sadly come to be only charred remains of rotten eggs which viewers and critics have hurled at it. And thus, a movie was excoriated.